Keep up with San Isabel Electric news by reading the monthly edition of Colorado Country Life magazine, published by the Colorado Rural Electric Association, Inc. This colorful and engaging magazine keeps you in the know about energy industry news, feature stories, gardening tips, recipes and so much more. 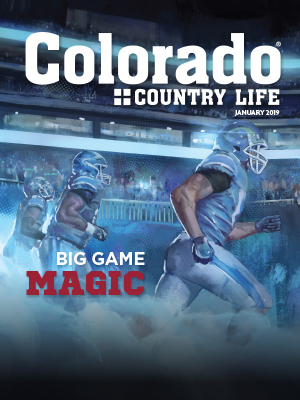 As a Member of San Isabel Electric Association, Inc. you receive a complimentary copy of Colorado Country Life delivered to your mailbox each month. Heavy Spring Snow Creates Large Power Outage for San Isabel Electric Association, Inc.
Spring Storm Causes Large Outage for San Isabel Electric Association, Inc.